This is a weekly preview and prediction column for Hungarian NB1 football. Chris Barrett and Paul Treso have collected the data and followed the teams and players closely all season to give you some insight to the upcoming games this weekend. With only two weeks left until the winter break the teams will be looking to make as strong a finish as possible - stay tuned! Paul: Chris, once again it was a crazy week in Hungarian football with low scores in the cold Hungarian winter. A total of nine (warning: this is a not a typo) goals were tallied in round 16. Three of them were scored by Ferencváros. Chris, I am guessing that this would be a season low goals total for any round? It should be interesting to see how the mid-week Hungarian Cup matches effect the games on Saturday. We plan to bounce back this week with good predictions so off we go to Round 17 with the accuracy of Robin Hood’s bow and arrow. Chris: Hey Paul, I think Robin Hood won Prince John’s archery tournament so I’m okay with that analogy! (For the record, only nine goals were scored in round 7 this season as well). I feel pretty good about this week, but squad mindsets tend to change after midweek games. Three NB1 teams were knocked out of the Magyar Kupa including holders Újpest (more about that later), but for now we will concentrate on the league. Here goes round 17! Paul: Debrecen played a very entertaining Hungarian Cup match that elicited a lot of excitement in our Twitter Group. P.S if you’d like to join the group please message Chris or I to be added. Debrecen has played well at home minus a blip against Vidi. I see them playing a good match and beating Honvéd in possibly the match of the week. Honvéd is coming off a tough loss to Mol Vidi and I see them starting to trend downward in the standings. They baffle me by being in the third spot and I still haven’t forgiven them for losing to a Luxembourg club in the Europa Liga. Chris: Debrecen advanced in the Magyar Kupa with a hard-fought 2-1 over an impressive Vasas side, while Honvéd breezed to a 4-0 win against Tiszaújvaros. Debrecen ended a run of three games without a victory last week with a narrow win against MTK in which they had no business winning. MTK were the better team and Debrecen were a little lucky to take all the points. They return home this week were they’ve won two of their last four but injuries are taking their toll. Honvéd still continue to struggle in attack and have scored just one in their last three league games. Botond Barath has been Honvéd’s best player in recent weeks, anchoring a solid back line, but he’ll be unavailable this week due to suspension and that will be a blow. Also, if Danilo’s early exit in their midweek game is worse than expected Honvéd might have their hands full in Debrecen. Home team shades it. Paul: Diósgyor has not lost in their last three matches to show some life recently. They play a fellow relegation contender in the friendly confines of their new Miskolc stadium. A goal will decide this match in a battle featuring two Northeastern Hungarian clubs. Kisvárda took care of business in securing three vital points last Saturday. This is an important match for a club struggling to stay up in the first division. They could surprise and take this match but, I don’t see them scoring against a revitalized home defense. Chris: Diósgyőr bounced out of the cup with a 5-3 defeat at NB2 side Budaörsi, while Kisvárda needed extra time to see off Szentlőrinc 4-1 in their midweek match. Zoltán Horváth was on target again for Kisvárda as they won their first league match since mid-September last week against Puskás. They’ll be in good spirits after following that up with a cup win this week, but Diósgyőr are also in form despite their cup exit. Fernando Fernandes’ team kept their league unbeaten streak going last week with a 1-1 draw against Haladás - their first away point since August. Miskolc should be the favorites and I expect them to win a close one at home. Paul: Ferencváros played very very well in defeating Paks away. Now they return home where they have been very good. I don’t see many goals in this match but Fradi will do enough to get a comfortable two goal win. Mezőkövesd finds themselves in the fifth spot on the table. They are a very workman-like club in the image of their manager. They always seem to be in matches and that pattern will continue here with a respectable performance. 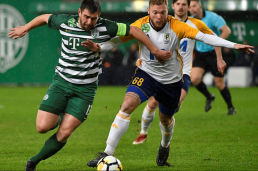 Chris: Ferencváros strolled to a 4-0 win over minnows Sényő-Carnifex in the Magyar Kupa, but only after their opponents were reduced to 10 men in the second half. Mezőkövesd made quick work of their cup foes seeing off III. Kerületi 6-0. Ferencváros looked in high gear against Paks last week and continued rolling in the cup on Wednesday. They are still unbeaten at home this season and they’ll be favorites to win again. Mezőkövesd have only lost two of seven away games this season and they’re currently on a four-match unbeaten run in the league. They’ve only lost by more than one goal just once all season and I think they’ll keep this one close as well, but if Fradi can keep up their current form they shouldn’t have any problem against a team they’ve defeated in their last three head-to-heads at Groupama. Stefan Spirovski’s injury hasn’t really affected Fradi’s quest to stay atop the league as the club’s depth of quality has been evident in recent weeks. Paul: MTK has lost their last two matches and come back home with a chip on their shoulder. I can’t see them losing three matches in a row. The perfect club has arrived in Budapest to right the ship for the men in blue. A win, a win, a win. Haladás drew last week at home but have lost their last 4! away matches. Make that five in a row with a lackluster performance. Remember when they played well in their new stadium? Not now and like Chris noted last week, they are a surprising relegation contending club. Chris: MTK surprisingly lost their fourth consecutive competitive match as they fell to third tier minnows Ajka. Haladás were able to get by their third tier test defeating Ivancsa 4-2 on Wednesday. MTK are in need of a win here and should get it. They outplayed Debrecen last week but were unable to even share the points in a 1-0 defeat. Haladás shared the points with fellow bottom-dwellers Diósgyőr last week but away from home they don’t really stand a chance this week in the capital - they’ve lost seven of eight of their away days. Haladás will get László Tamás back in defense, but MTK will get Sándor Torghelle back from his one-match ban and he has a knack of scoring key goals. Paul: Puskás is a squad of two faces depending on where they play. Home they are very good and away they simply put BAD. The easy choice here is a victory but they are playing a squad that should come to Pancho Arena with fire on this cold match day. Paks were soundly beaten by three goals last week at home. They will come up with a big performance here and defeat Puskás to end the home club’s recent home dominance. Manager Aurél Csertői will bring out the best in his squad. Chris: Both Puskás and Paks got past their midweek cup opponents although Paks needed penalties to advance. It’s been a serious case of Dr. Jekyll and Mr. Hyde for Puskás this season. At home they’ve defeated the top three teams in the league, and away from home they’ve yet to win. Their last game against Paks was a five-goal thriller on the road where they had their hearts broken by a late, late winner from János Hahn. It’s difficult to pick against Puskás at home this season, especially with Paks struggling of late. Paks needed a late equalizing penalty by Lajos Bertus to take Siófok into extra time before winning with an extended penalty shootout. They’ve only one once away from home in the league this season and wouldn’t hold my breath for any heroic, late winners by the visitors in this one. Paul: Our last match of the day since there are no Sunday matches. Újpest has drawn their last two matches and lacks the fire of last season. That will continue today with another sub-par performance. It’s not for the lack of management as they have one of the best managers in the first division. Vidi play a day earlier this week due to no Europa Liga matches. Outside of a loss to Mezőkövesd, Vidi has been very good away from home. That will continue this week with yet, big yawn, another low scoring match. Chris: Holders Újpest were unceremoniously dumped out of the Magyar Kupa by in-form NB2 side Kaposvár while Vidi got some revenge this week. According to Gergely Marosi, Lilák are just the fourth team in the last 22 years to exit the competition before the winter break. Újpest are in a spin that they can’t seem to get out of. It's a commonly accepted phenomenon that there’s a lack of quality strikers in the league, but one goal in their past three league games as well as none scored this week in the cup equals a huge problem for the capital side. Defensively, however, they haven’t conceded more than two goals in their last fourteen games which leads to close games and bags of heartbreak for Lilák supporters. At the other end of the spectrum, Vidi kept up their good recent form and got some revenge in the cup as well. Budafok, who sent them tumbling out of the cup at the same stage last season, were swept aside by a 79th minute Marko Scepovic winner on Wednesday. It's been happy days for the champions in recent weeks. Normally I’d say this game could go either way, but I can’t see Újpest beating an in-form Vidi side. Their only hope might be that Vidi will keep some players rested for their Europa League match against Chelsea next week but, even so, I think the visitors will edge this one. This is a weekly preview and prediction column of Hungarian NB1 football. Chris Barrett and Paul Treso have collected the data and followed the teams and players closely all season to give you some insight to the upcoming games this weekend. Read on as the league reaches the halfway point in Round 16 on Saturday. Chris: Yeah Paul, the cold winds have arrived and temperatures are dipping all around the country this week. With each team on the same amount of games played now there aren’t many surprises at this stage. Ferencváros, Vidi, and Honvéd are (expectedly) at the top and Kisvárda are struggling. What is a surprise has been Haladás’ deconstruction thus far. I don’t anyone would have predicted they’d be rock bottom at this point. Another small revelation has been MTK’s position (4th) which has been quite impressive in their first season back from NBII. Paul: Kisvárda has lost their last three matches including their last two homes matches. The masterful draw against Mol Vidi seems like so long ago as it was four matches ago. The poor form continues here with yet another loss. Puskás took the care of business against Haladás and continued their good home form. Now away from home has been an entirely different animal with the squad losing their last five, yes count them 5, away matches. All things come to an end and Kisvárda is the perfect squad to make this happen. Chris: Kisvárda have lost six of their last seven and haven’t won since mid-September. They’ve only scored once in their last three games and they’ll be without their captain Lucas who is suspended for this game. Puskás are unstoppable at home but away from home they’ve been trash. They haven’t won away from home all season and have conceded at least 2 goals in each of those games. Kisvárda will be bolstered playing at home and should be able to share the spoils here. They drew Puskás 1-1 in Felcsút back in August and should be able to earn a similar result against the worst away performers in the league. Paul: Mezőkövesd has played very well at home lately while winning four of their last five home matches. They now find themselves in the fifth position in the table and play the club one spot below them. This match can go either way but Mezőkövesd will find a way to take this match. Újpest was not able to take the three points from Paks and drew at home. Their away form has been variable and inconsistent. That continues here and they lose on a last minute defense lapse. Chris: Mezőkövesd are unbeaten in their last five home games with four wins in that span. They’ve managed an impressive campaign so far and last week’s draw against Honvéd in Budapest could have been a win with a little luck. Gábor Molnár has become the catalyst of this team in terms of production and leadership and he’s leading by example. Újpest are a good team with good players but their mentality is off. They’ve done very well against the bottom half clubs this season but against the better teams they’ve proven they can’t hold a lead. Last week goalkeeper Filip Pajovic frustratingly watched Paks’ equalizer go in like a cow watches a train go by. Dániel Nagy and Alassane Diallo’s returns to the bench from injury have been encouraging and they should be able to get more minutes in this week - perhaps even a start. This is a tough one as both teams are almost almost identical on the table but I’m banking on Újpest to throw away points again here. Paul: Haladás has lost four of their last five home matches with the one bright spot the upset of Ferencváros. The question is which form will the lads bring in this one? I will take the middle ground and say a draw here. Diósgyor has won their last two matches but both were at home. This shows the squad has some fight left in it and some of their foreign players are making a difference. Their away form is poor and they have not won in their last five away matches. Their improved play however will continue against their fellow relegation stranglers. Chris: Two teams going in opposite directions here. Haladás were handed a comprehensive loss in Felcsút last week and, surprisingly, the only goal they’ve scored in their last six games came against league-leaders Ferencváros (albeit from the penalty spot). Diósgyőr have begun to find themselves with consecutive home wins against Debrecen and MTK in recent weeks. Florent Hasani and Mátyás Tajti have stepped up for Fernando Fernández’s side and they could win their first away from home against a reeling Haladás side. Paul: MTK left Miskolc with a surprising loss and are quite the different squad home vs. away. They are a very inconsistent squad but still find themselves in the fourth spot in the table. They will find a way to win here in a match with many chances but few conversions. Debrecen is one of the mystery teams of Hungarian soccer. On paper they have a top 3 side but their youth and inconsistency belie them. Slowly players are returning from injury and with an excellent manager, hope is alive. Their away form is poor with no wins in their last five away matches. Chris: Last week it was a bit of “too little, too late” for MTK who fell just short in their comeback bid of a three-goal deficit at Diósgyőr. They’ll be without veteran forward Sándor Torghelle who started the season as a late, super-sub but has been starting more games and playing more minutes of late, but he’s suspended after picking up his fifth yellow card last week. Debrecen played one of their better games of the season last week but were unable to finish in a narrow defeat to Vidi at home. Debrecen will be without a key player as well with captain Dániel Tozsér out with an injury. This will be a close game between two similar sides but I’ll give MTK the slight advantage at home. Paul: The battle of the “green” teams. Outside of a massive defeat at home against Mol Vid, Paks has reasserted their home field advantage. I am so close to predicting an upset win against Fradi but cannot do it. However, I will predict a draw. Ferencváros took the three points against Kisvárda though in unimpressive style. They have lost two of their last three away matches which makes this a difficult match to prognosticate. I do not see Fradi leaving Paks with a win but a draw is the safe choice despite their recent poor away form. Chris: Paks have had some good luck against Ferencváros in recent encounters as they extended their unbeaten run at Groupama Aréna to four games with a hard-fought draw against Fradi back in August. At home Paks are usually one of the toughest teams to beat but their recent form at Fehérvári úti has seen them unable to score in their last two there. They managed a late equalizer against Újpest last week. Ferencváros started two fringe players and played without injured Stefan Spirovski and still managed to play Kisvárda off the pitch last week. Their team is still working out the kinks under Sergei Rebrov but he’s done well to make the right adjustments. This will be a tough match in less-than-ideal conditions but the league leaders should be able to win. They’ve only conceded four goals away from home in seven matches. Paul: Tough result for Vidi against BATE which is a nemesis for Hungarian teams. Will the letdown continue now with their big loss? This is a BIG home game in their new stadium which should spur the lads on to victory despite their European hangovers. Honvéd is in the third position though I am not very impressed with them. They meet Mol Vidi at the right time, nonetheless, and will make things interesting. This should be an entertaining up and down match between two of the top clubs in Hungary. Chris: Vidi are coming off a disappointing 2-0 defeat at the hands of BATE in the Europa League. They’ve not done well the week after a continental match and they’ll be up against the best defense in the league in Honvéd. They’ll be bolstered by playing in their new stadium but they’ve found it difficult to find the back of the net, scoring just twice in their last four competitive games. Honvéd will be happy with a draw away here and they’ve been very good at keeping dangerous situations out of their own end this season. Honvéd are unbeaten in their last six and have conceded just twice in that stretch. Going for a bore draw here. Welcome to our weekly preview and prediction column as Paul and Chris take a closer look at each of this week’s games in the NB1. After the international break they’ll update on how the matches are shaping up as well as collect all the team info they can to give you a better picture of each side’s chances ahead of kickoff. The amazing thing has been the similarity in the lads’ picks as the season has gone on. This week is no different. Chris: Yeah, I’m stuffed after the only civic holiday I know that was created around the embarrassing mass consumption of food. But enough about American holidays - there is a full slate of Hungarian NB1 matches on our plate this weekend that should provide a feast for all of you ready for club football to return. Paul: Honvéd are in the second position and have proved there is life after Lanzafame. They are not playing great football at the moment but are finding ways not to lose. This match should be another one of those. I don’t see a win here for the home side but a hard fought draw. Can you guess the leading scorer of NB1 who is playing in this match? Danilo, no, Lanzafame, no as he now longer plays for Honvéd. It’s 24 year old Gábor Molnár with 7 goals who plays for Mezőkövesd currently while on loan from Puskás. Mezőkövesd is not a particularly strong away side but will find a way to earn a result here. Chris: Honvéd will be playing their first “home” game since early October and are on an impressive run of six games without defeat in all competitions. However, they haven’t had good form in front of goal, scoring (on average) just over a goal per game in the league. They have been very stingy on defense conceding a league-lowest 8 goals. Mezőkövesd are in good form and have done well at Honvéd, winning two of their last three trips there and they should be bolstered after a narrow 1-0 win over champions Vidi in the last round. Gábor Molnár has been nothing short of sensational since joining the club. Mezo played a friendly against Debrecen behind closed doors during the break and lost 4-2 with lots of rotation. This is a tough game to predict but I’m sure it will be close and low-scoring. Paul: Diósgyor surprised Debrecen at home two weeks ago with an impressive win. Another win may be too much to ask from the lads of Miskolc. The squad keeps up their improved form and surprise MTK at home with a draw. Chris: Diósgyőr won their first game since early August last round and played to a goalless draw in a friendly against Balmazújváros during the international break. DVTK have scored the least amount of goals in the league (11) and only six in 7 games at home so far. They’ve actually been playing better of late and in their last six home games they’ve lost three but those have been against top-four clubs and two were only one-goal defeats. MTK won a cracker against Puskás last round and they’ve done fairly well away from home in their first season back in the top flight. Starting right back Patrick Ikenne-King has been mysteriously absent in Tamás Feczkó’s lineup. The former Honvéd player hasn’t been on the team sheet in MTK’s last four games. Veteran forward Sándor Torghelle continues to show that he has a lot to offer as he proves he can impact games whether starting or coming off the bench. MTK defeated Diósgyőr 1-0 at home in their first meeting this season. It’s another tricky fixture here and quite likely the hosts will get something from this one. Paul: The break came at the right time Ferencváros who were shockingly defeated by Haladás. At the same time, during the break two players, Ivan Petryak and Stefan Spirovski, were injured playing for their respective national teams. Yes this weakens Fradi but their home dominance and Davide Lanzafame will assure a victory. Of course, playing Kisvárda doesn’t hurt either. Kisvárda have lost four of their last five matches. Other than a surprise win away at MTK, they have been very poor away from home. I don’t see another Haladás surprise here and Kisvárda will be lucky to score a goal. Chris: Ferencváros have lost some speculative games away from home including a disappointing 1-0 defeat before the break to Haladás. However, they’ve done well to bounce back after those defeats and haven’t lost a competitive match at home all year. It will be a blow to be without Petryak and Spirovski who were both injured on international duty - both have started every game and have played a big part in Fradi’s success. Kisvárda were hammered at home by Újpest last round and they’re leaking goals like the Titanic these days. Can’t see another winner here but the hosts. Paul: Puskás have won their last four in a row at home. Yes that is not a typo ladies and gentleman. On the flip side, they have lost their last five in a row away. With a home match here a win is too much to ask but we will see a competitive draw. Haladás defeated Ferencváros in the upset of the year so far in NB1. The question now is can they keep up the momentum after the one week break? Since this match is in Felcsút, a draw would be a respectable result here. Chris: Haladás secured their first win since August against league leaders Ferencváros before the international break. It was a morale-boosting win for the club who have struggled through the first third of the season. They defeated Puskás 3-2 in their first meeting this season at home but they’ve only picked up one point away from home thus far in the campaign. On the other hand Puskás have won their last four home matches including against the top three clubs. They’ll be looking to return to form after a tough defeat at MTK last round. Bachana Arabuli has been playing well and has scored two goals in his last two games for Puskás. Paul: Újpest finds themselves in the fifth spot and have won their last three home matches in a row. The club is finally rounding into form as injuries decimated the team earlier in the season. The streak continues with a hard found home win against Paks. Paks have been on a slight downward slide and now are in the eighth position. The side is a totally different squad away than at home. Regardless, they will give the Lilak a tough match but lose narrowly in the final minutes of the match. Chris: Újpest were victims of Vidi’s new stadium curtain-raiser this week as they fell to a narrow defeat in Székesfehérvár. One positive is that both Alassane Diallo and Dániel Nagy returned to the squad off the bench in the defeat against Vidi and should be cleared to start against Paks. Paks held Honvéd to a goalless draw last game which was a good result, but they’ve been unable to find the back of the net in their last two. Újpest will welcome a return home where they’ve won their last three. Paul: Debrecen have won their last three home matches though two weeks ago, they also were surprised by a lower level opponent, Diósgyor. Debrecen can play with any one in the league but often find themselves playing at the level of their opponent. That won’t happen here in a very entertaining match. Mol Vidi once again play their usual two matches a week coming off a Wednesday match versus Újpest. They are losing points every time this happens and are falling behind in the league. The pattern continues but a tie will be a good result in Debrecen. Chris: Debrecen fell disappointingly to Diósgyőr last round but have won their last three at home. They played a friendly match against Mezőkövesd during the international break and won 4-2 to keep their top players match fit. Vidi played to a narrow win against Újpest on Wednesday and looked to have lost starting midfielder Georgi Milanov to an ankle injury. The two teams played to a 1-1 draw in Felcsút in their first meeting of the season back in August. Another draw looks on the cards in Debrecen. Loki play a more open game at home and Vidi have scored eight in their last three league matches away from home. Paul: MTK gave Fradi a tough match last Saturday but lost by two goals in the end. This week they find themselves at home against a very beatable opponent. It won't be as easy as it appears on paper but, as I’ve noted before, a win is a win. Welcome to our weekly preview and prediction column as Paul and Chris take a look under the hood of each of this week’s games in the NB1. They give you their expert opinion on how things are shaping up as well as collect all the team info they can to give you a better picture of each side’s chances ahead of kickoff. Chris: Thanks Paul, but as you and I both know it is feast or famine with this league in terms of predictions. There are some great matches this week as well as a couple of surprise suspensions thanks to the excellent work of the MLSz Disciplinary Committee. Read on for a full preview of all the games. Paul: Kisvárda played very well to secure a draw against a tired Vidi squad. They are an up and down club, often capable of playing good football. A second home match in a row will boost the club to play inspired football. They will earn a draw for the second week in a row against top flight competition. 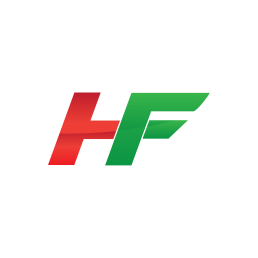 Honvéd narrowly defeated Haladás to earn a win in the final minutes of the match. They are not playing too well at the moment, yet still find themselves in the second position. Can the goal scoring come alive in this match? I still see them struggling to score goals and will created many chances but fail to convert them. Chris: Kisvárda won their cup match against third tier Gyöngyösi 4-0 this week with goals coming from András Gosztyonyi and Sergiu Negrut - two each. It was a fairly easy hurdle even as they rotated the side that leveled Vidi on Sunday. That result is sure to boost confidence. They’ve also scored in each of their past 8 league matches. Honvéd squeezed past Jászberény thanks to an early David N’Gog goal in their midweek cup match. Attila Supka fully rotated his side. Honvéd are still struggling in attack with only three goals in their last six games. Luckily their defense has been just as stingy, allowing only three in that span as well. They’ve only conceded two away from home thus far. This is a difficult one to call but Honvéd have been finding a way and should be able to win again. They won 4-0 in their first meeting, but I can’t see a similar result occurring here. Debrecen find themselves in the fourth position after a solid home win. They haven’t won away in five matches and that looks to continue here. They will create many chances but the solid defense of the home side will prove to be the difference in a close match. Chris: Mezőkövesd played mostly reserves to defeat Ménfőcsanak 1-0 in the cup this week. Márk Koszta scored the winner three minutes from time. They’ve won their last three home games and drew Debrecen 1-1 in their first meeting this season. Gábor Molnár has been outstanding since joining Mezo and I’d count on him continuing his fine form at home. András Herczeg fielded a mostly second-choice side in Debrecen’s 3-0 cup win over Teskánd this week. Debrecen almost mis-handled what should have been an easy win last week at home over Puskás but still managed to hold off the visitors to take all the points. Debrecen haven’t won away from home in the league this season and I think Mezőkövesd is too tough an opponent to to see that change this week. Paul: Paks have won their last four at home and have regained their home field dominance. This will be a great challenge to them, but they are unlucky to catch a well-rested Vidi club. The chances will be there for goals but will not be converted to secure a home win. The two match a week routine once again was too much for Vidi as they lost points against Kisvárda. Vidi are a different team when they only play a one match versus two matches per week. This will be a difficult match but they will find a way to scrape by with a win. Chris: Paks played a rotated side that needed a number of first-team regulars as late substitutes for a come-from-behind 2-1 cup win over Csákvar this week. Left back János Szabó played the entire game and looks set for a return to the first team. Vidi rested some key players and beat the team that knocked them out of the cup last year, Vac, 3-1 this week. This won’t be an easy game for the champions who struggled to hold off lowly Kisvárda last week. Paks are undefeated at home this season but this will be their biggest test yet at Fehérvári úti. One surprise for Vidi is that Stefan Scepovic and Anel Hadzic were handed suspensions by the Disciplinary Committee this week. Scepovic and Hadzic’s suspensions are retroactive to their match against Puskás where there was an incident at the end of the game. Referee Gergely Szots didn’t include the incident in his report but after further investigation the two were handed bans which means they’ll sit out this out week making Paks’ task that much easier. Paul: Diósgyor gave a vote of confidence to their manager and are being very patient with a club that is uninspired and not very talented. They are able to shore up the defense in this match and secure a win with a goal in the final quarter of the match. Puskás are a very up and down club who are capable of anything good and bad. Once again in a recurring theme, another club lacking offensive firepower. This match will feature many more cards than goals. Chris: Puskás downed Dunaújváros 2-0 with a rotated squad in the cup this week. They return home where they’ve won their last three games against top opponents. A brave performance at Debrecen last week fell just short of a draw, but they should feel confident playing Diósgyőr who are on run of five consecutive defeats in the league. This is a difficult time to be a DVTK supporter. I feel for you … feel your pain. It gets worse. Paul: Újpest lost last week to MTK after winning their last two matches. Where has the offense gone for the Lilak? They are having big trouble scoring goals and this shows in their present league position. A home match along with the opponent will secure a win and possibly get this club headed in the right direction. Chris: Újpest needed extra time to defeat Gyor in a pulsating midweek cup match. It’s a good thing they are playing Haladás at home as Hali are on a run of five consecutive league defeats and couldn’t finish against Honvéd last week despite a number of gilt-edged chances including a penalty. Újpest are still struggling in attack, but it’s difficult to look past them in this one. To answer your question Paul, the last time Hali won in the league was in mid-August at home against Puskás. That was a long time ago. Paul: Another Budapest Derby which happens when there are four teams from the capital city. Ferencváros will once again dispose of MTK in easy fashion at home. Dániel Böde showed with his hat trick that he deserves more playing time and he is still a goal scorer. MTK are up to the third position and appear to be the real deal, title contenders not title pretenders. An away match will prove to be too much for the squad but they will be respectable and lose by only two goals. Chris: Both Ferencváros and MTK made easy work of their midweek cup opponents, winning 4-0 and 5-0 respectively. Ferencváros were back to winning ways after their demolition of Diosgyor, while MTK pulled off a smash-and-grab against Újpest in the league last week. It’s been 16 years since MTK won at Ferencváros, but they’ve draw their last two contests against them at Groupama. Ferencváros have not lost at home in the league for a year. Sergei Rebrov looks to be working his system into the club and the players are responding well. MTK done just what they set out to do at the start of the season by establishing a strong league position early. István Bognár has been dangerous recently for MTK and their strong team confidence will make this one a close game. Hungarian NB1 football is back as Paul and Chris preview the games of Round 12 this weekend. The league is truly at the heartbeat of the season as each team has faced every other team once now as the second third of the campaign gets underway. Read on for previews and predictions of each game. Paul: Chris, what a round 11 it was! Some crazy results as always. Only one draw last week with a total of 14 goals scored. Round 11 once again showed that any team can be beaten on a given match day and that no result is certain. All of this makes predicting very difficult but at the same time a great challenge for the two of us. Let’s get to it. Chris: Yeah, who would have thought Ferencváros would fall to Puskás by such an unlikely (but lovely) goal? I’m immune to the capriciousness of this league and will continue to forge ahead in my prognostications despite the erratic inconsistency that prevails on a weekly basis. Here we go! Paul: Another derby match between two Budapest clubs. MTK came on late to tie Honvéd in an otherwise uninspiring performance. A bit surprising to see Sándor Torghelle with another start up front for MTK. I see him more of a 15-20 minute player and would prefer to see László Lencse start up front. This should be another tough match and the most logical call is for a draw. Újpest have now won two matches in a row and appear to be coming into form. This will be a good battle for them. They came on at the end last week and were lucky to beat Diósgyor with two late second half goals. They need to play better in this match to even earn the draw. Chris: Újpest have to feel good, coming from behind to defeat DVTK away last week. They only have two defeats all season, one of which came against MTK in their season opener at home. No doubt they’ll be looking for a measure of revenge here. The likely return of Dániel Nagy and Alassane Diallo to the side should be a boost for manager Nebojsa Vignjevic. MTK have defeated Lilák in their last two meetings and haven’t lost to them at home since 2014. They are riding high on István Bognár’s recent form - the pesky forward has scored in each of their last 3 games and confidence is high when he’s playing with freedom. Kanta picked up his fifth yellow card of the season last week, but there’s been no word of an official ban so he very well could play. Lilák will not win this game, but if they can get a sip of what Giorgi Beridze had at halftime last week they might be able to salvage a point across town. Paul: Paks had their three match unbeaten streak broken at Debrecen with a rare corner kick goal by their opponents. Debrecen almost scored one earlier in the match so it was a complete lapse by their goalkeeper. I see them bouncing back here at home with a win. Mezőkövesd are up to the fourth position after two straight wins while not losing in their last five matches. This will be a tough, competitive match between two solid sides. In the end, the firepower of Paks will be too much for Mezőkövesd to handle. Chris: Paks have re-establish their home dominance this season, going unbeaten at Fehérvári út thus far with three wins and a draw. This will probably be their toughest challenge yet, however, as Mezőkövesd are in stellar form and have lost only once away from home so far this season. It’s difficult to ignore Gábor Molnár’s influence in Mezo’s form and Attila Kuttor has his side playing a positive style of football, but Paks are smarting after losing it late against Debrecen last week. Expect a reaction by the players and a boost from the home fans. Paul: Haladás have now lost four matches in a row and are at the bottom of the table. Their home field advantage has quickly disappeared with their poor start to the season. They are creating chances but have not been able to convert them. They should be competitive here but loss #5 is in order. Honvéd lost some points with their draw against MTK. They played better most of the match but a late defensive lapse saw the loss of two valuable points. They seem a bit confused up front and the goals are not coming much with only two goals in their last five matches. This will be a tougher match than expected but they narrowly pull out a victory. Chris: Rock bottom in the league and without a win since taking over at the end of September, Haladás boss Ferenc Horváth is benching Hungarian legend GK Gábor Király to try and shake things up. Hali have scored just twice in their last four games, and have averaged over 2 goals per game conceded in that span. Playing at home used to be a positive for them but they’ve lost their last three league matches now at their new stadium. Honvéd were unable to hold onto three points against MTK last week and their scoring woes continue as they’ve managed just two goals in their last five games. Haladás should provide them with an opportunity to boost their confidence in the attacking third, but I still think the problem is more tactical than anything. Either way Honvéd scrape it. Paul: Diósgyor had the lead late last week and fell apart with some major defensive lapses. They almost pulled off a nice upset against Újpest . They catch a Ferencváros club at a bad time who are hungry for redemption after a surprise loss last week. It should be a full house in their new stadium but that will not be enough to inspire the home club. Chris: Whew! Miskolc are dreadful and Fradi are pissed. On paper this should be a massacre and it very rightly could be so. With Heister and Lanzafame returning rested to the side after sitting out last week, Ferencváros (who lost their first game of the season last week) will have their strongest lineup against a reeling Diósgyőr. I honestly can’t see another result here. Paul: Debrecen were lucky to escape with a late win over Paks last week. They played well and the chances were there. On paper they should easily defeat Puskás but in a choice that can’t be fully explained, a draw will occur here. In other words a “gut” feeling. 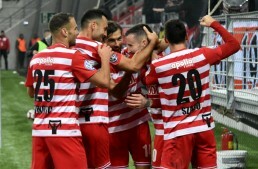 Puskás may have pulled off the upset of the year in defeating Ferencváros with a free kick goal from nearly 61 meters away. I’ve never seen such a long distance goal outside of American Football. They are developing into a very defensive team with the hope of counter attacking goals. This is possible against Debrecen. Paul: Kisvárda, after showing some improvement, have now lost their last three matches. They need to push a tired Mol Vidi club if they have any chance of earning points here. They are catching Mol Vidi at the right time and place but will it be enough? Mol Vidi have had a tough time of it when playing two matches a week. Do they have enough left in the tank to pick up a win here? They have moved up to the third spot and a match like this is one where the three points is vital. Finally, they will bounce back and win a match after playing in Europe after losing their last two in these situations. Chris: After a brief uptick in form, Kisvárda have returned to their early season form and have conceded an average of three goals per game in their last three. Vidi are coming off a massive win against Greek side PAOK in the Europa League, but the last time they played to that level midweek they fell hard in the league the following match. If Marko Nikolic can manage his side’s fitness and bring in some rested players, Vidi have the chance to get a big win here. The return of goalkeeper Adám Kovácsik was a noted improvement for Vidi last week and should be helpful against Kisvarda as well.